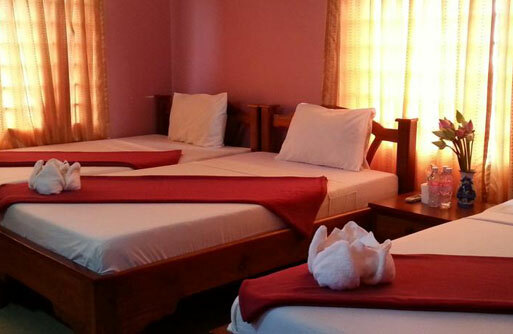 Air-conditioning, TV-Cable/Satellite, Fan, Fridge, Hot and Cold Water, Minibar, Private bathroom with shower. 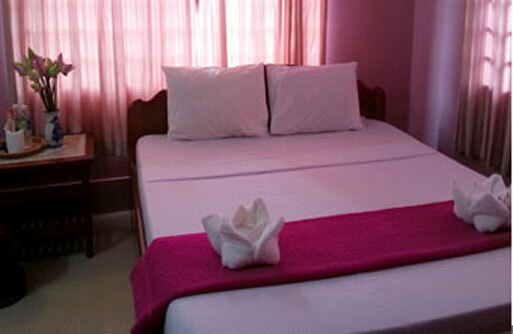 Breakfast included in all room rates! 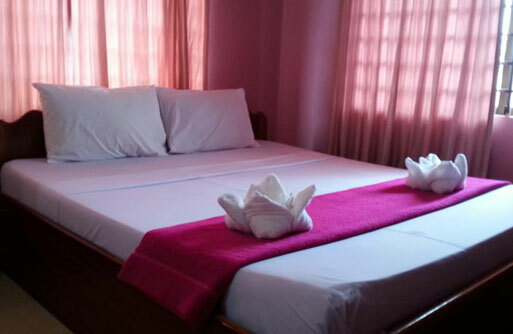 Fan room, TV-Cable/Satellite, Fridge, Hot and Cold Water, Minibar, Private bathroom with shower. 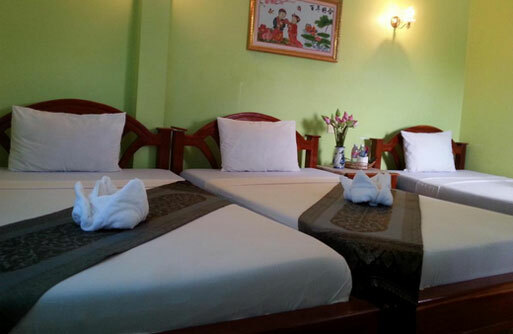 Fan room (2 beds), TV-Cable/Satellite, Fridge, Hot and Cold Water, Minibar, Private bathroom with shower. 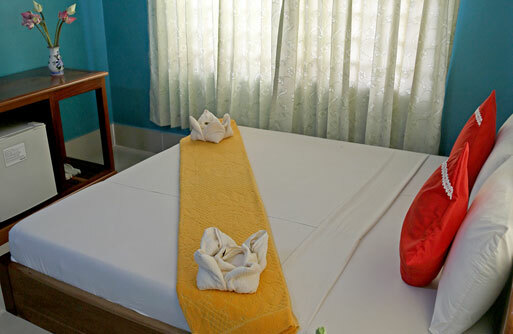 Fan room (1 large bed), TV-Cable/Satellite, Fridge, Hot and Cold Water, Minibar, Private bathroom with shower. 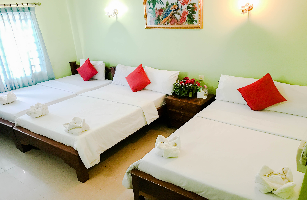 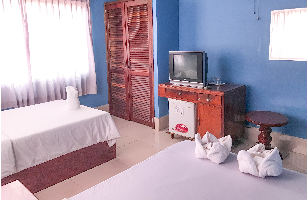 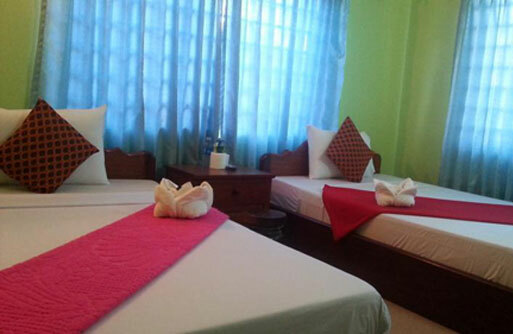 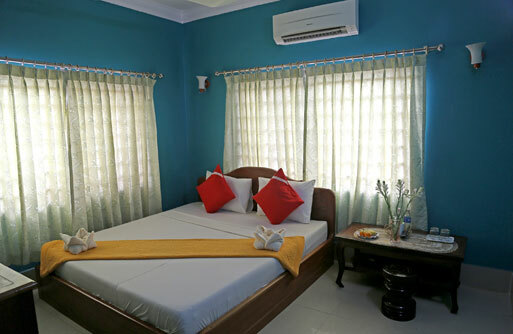 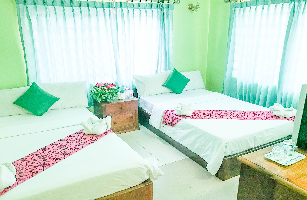 1 single bed and 1 king-size bed for 3 persons with air-conditioning, TV-Cable/Satellite, Fan, Fridge, Hot and Cold Water, Minibar, Private bathroom with shower. 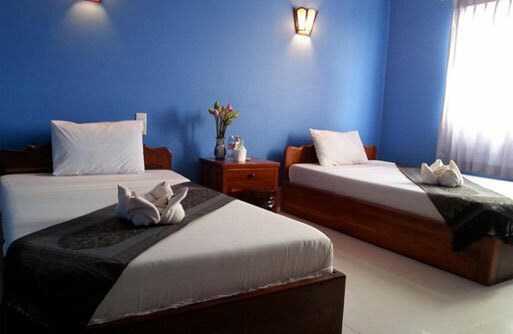 Address: #268, National Road Number 6, Taphul Village, Sangkat Svay Dangkum, Siem Reap / Angkor, Kingdom of Cambodia.